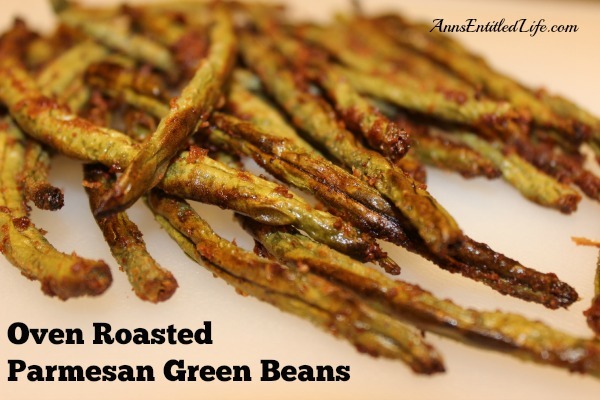 An easy recipe that perks up your fresh, garden green beans; these are so good, your kids will be asking for seconds! 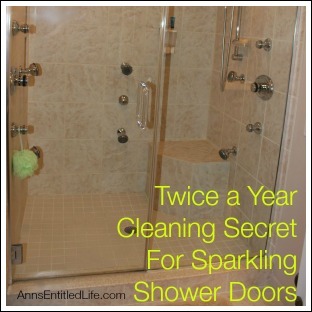 • Wash your fresh bean thoroughly. • Snap off the ends (or cut them). 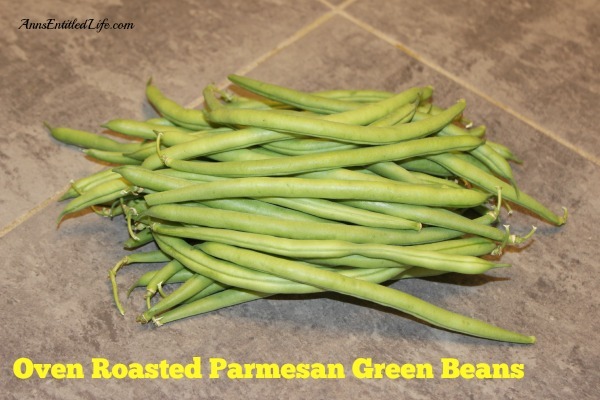 • Place your green beans in a large bowl. 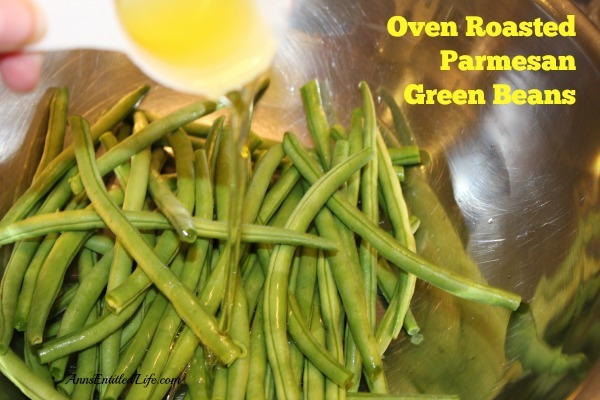 • Stir to coat the green beans completely. • Add your Parmesan cheese. 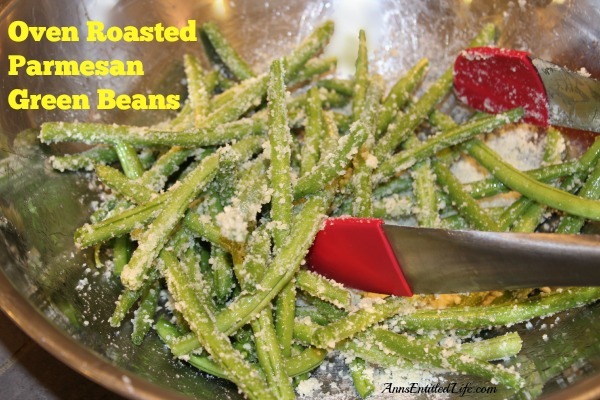 • Coat the beans with the Parmesan cheese. • Spray 2 jelly roll trays with non-stick spray. 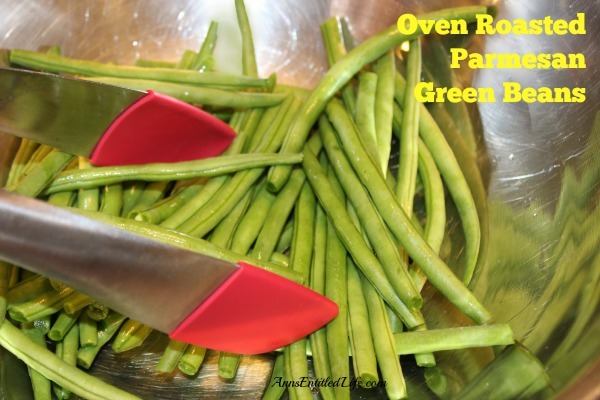 • Place your green beans on the tray, keeping space between the beans. 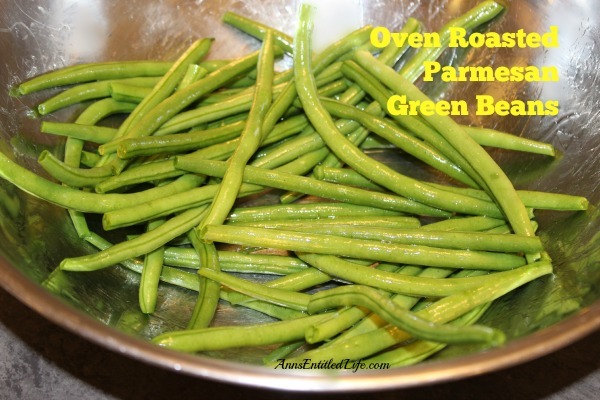 • Roast the green beans in your oven at 400° for 20 minutes until your beans are brown; turn (or at least stir) your green beans at the 10 minute mark to facilitate even browning. 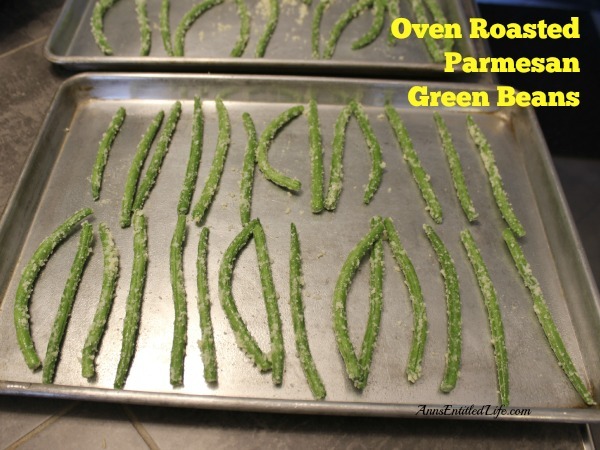 • To print the Oven Roasted Parmesan Green Beans Recipe, click here. 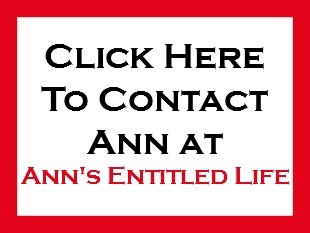 • For a list of all Recipes available on Ann’s Entitled Life, click here. 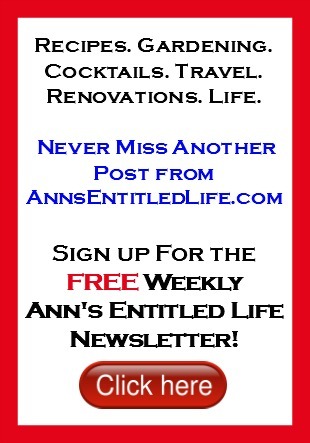 I hope you had a great vacation! Where’d you go? These were great! I’m a little sad that I only had 14 (yeah, fourteen!) beans to roast, but I loved them. Why have I never thought to cook them this way?!? One kid liked them, one did not, but in this family that’s pretty good for a veggie! 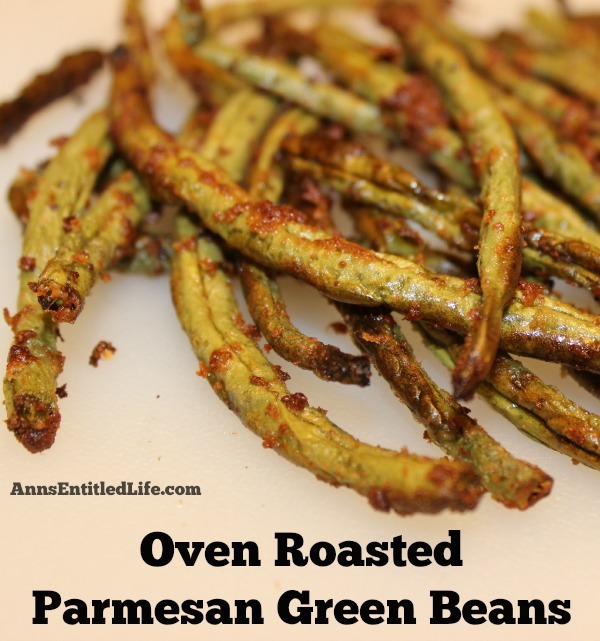 Made these tonight for dinner, they were amazing! Even my picky 4 yr old loved them! 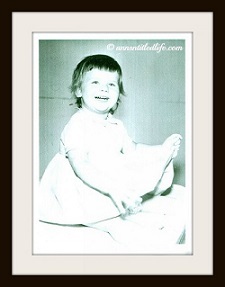 I am so glad you and your children liked them, Terri! Ok this looks simple enough I think I can do it! Going to pin this to Pinterest to make soon! Glad to find this post at 2 cup tuesday! YAY! These look so yummy. 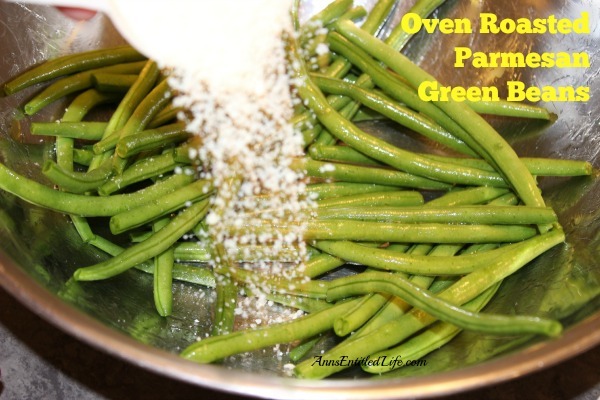 I can’t wait to try to make some of these yummy green beans for my family. 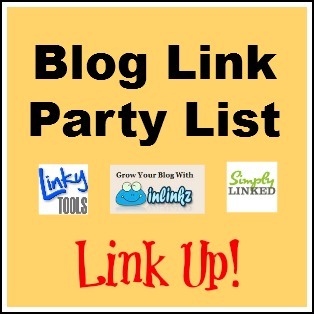 Thank you for linking up at HomeMattersParty hope you will come back and link up again next week. 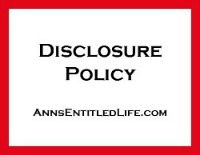 Why isn’t there a printable version available? I need to add these to my meal plan–ASAP! Saw your recipe just in time to make them for dinner tonight! Thanks! !